Use your skills to help one of Africa’s most successful international education charities! 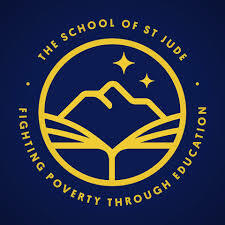 The School of St Jude is a 100% charity-funded education institution that provides free, high-quality education to 1,800 of the poorest and brightest students in the Arusha region of Tanzania. We are seeking a creative and energetic individual to fill the positions below based in Arusha, Tanzania at The School of St Jude. : To contribute to supporter retention and renewal by delivering high quality sponsor and donor stewardship, proactive relationship management and targeted written communications. Qualifications, Skills and CompetenceDiploma/Bachelor’s Degree in Communications, Journalism or any relevant course. Excellent written English, oral communication and interpersonal skills. Ability to write engaging content for supporters of the program. Photography and videography experience desirable. Organisational skills, good time management and ability to work independently. 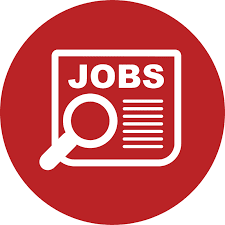 We are looking to appoint a Digital Marketing Officer to positively impact the marketing and fundraising efforts of the school through content development and analysis of organisational marketing. Ability to monitor day-to-day outputs and quality of work. Strong creative writing skills and the ability to write in a professional yet personable house style. Ability to develop engaging supporter communications. Diploma/Degree in Communications or Marketing viewed favourably. Energetic, consistent and dedicated personality. Design editing skills (Indesign and Publisher) viewed favourably. Willingness to learn and continuing commitment to improvement. Be flexible, open-minded, tolerant and appreciate the complexities of working in a rapidly growing charity in a developing country. Have a passion for our mission and a strong desire to make a positive difference performing a variety of tasks; from the mundane to the fun and interesting! To be part of a health check team to provide support to the Student Welfare team in identifying students who may have health problems that could potentially affect the student’s ability to learn and reach their full potential, and to provide advice. • The ability to work effectively in a team with people you may not know in an unfamiliar and often challenging environment. Diploma or Degree in Communications or Marketing viewed favourably. Diploma/Bachelor’s Degree in Communications, Journalism or any relevant course. Be flexible, open-minded, and tolerant and appreciate the complexities of working in a rapidly growing charity in a developing country. Work well independently and as part of a team of Tanzanian staff and international volunteers. Have good emotional and physical health and the energy and drive to take on new challenges. A Local Wage that will allow you to live comfortably in Arusha – a vibrant gateway to Tanzania’s world-famous national parks. International Employees Benefits Package including: house benefit allowance and access to furnished on-campus accommodation (WiFi included); plus contract completion bonuses. Welcoming community of international and local employees.